As the emblem of the oldest and largest fraternity in the world, without question, the Masonic Square and Compass is the most recognizable of all fraternal symbols. Because Freemasons are such a diverse group, and the fraternity is international, it’s pretty obvious that we don’t all look alike. We come from different generations, different countries, and different races that speak different languages, and we come from many different religious faiths. The Square and Compass is the way Freemasons have in identifying each other as Masonic brothers. As Masons travel about in their daily lives, and we see a stranger wearing a Mason ring or displaying the symbol on the bumper of their car, we know we’ve found a new friend and brother, and all the things that may make us different from one another melt away when we meet as Brothers on the things we share in common. 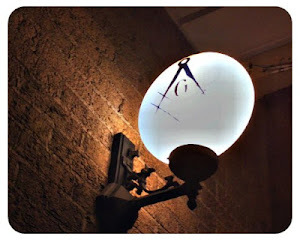 The Square and Compass is a symbol of the blue lodge, our home lodge. In the great American Midwest, where I’m from, you’ll find a lodge in just about every small town, and usually several lodges in every city. 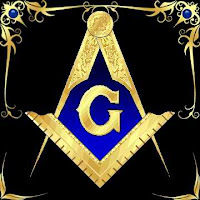 Every Mason belongs to a blue lodge, or symbolic lodge, and it’s there that we receive our first three degrees in Masonry, the 3rd degree, that of Master Mason, being the highest Masonic degree a Freemason can receive. But there are fraternities within the fraternity as well, where a Mason if he so chooses can continue on and receive additional degrees to the Master Mason degree. Each body has it’s own symbol. There’s the Double Eagle of the Scottish Rite. The Crescent and Scimitar of the Shrine. The Triple Tau of the Royal Arch. The Broken Triangle of the Cryptic Masons. The Cross and Crown of the Knights Templar. And many more. When Freemasons meet as strangers, often through these symbols, we know something about this stranger right up front. We know he is a man of Honor and integrity. That he has been judged by the men that know him best, and been found to be worthy and well-qualified to be a member of our fraternity, by sharing those same universal beliefs and tenets that we all, as Freemasons, share in common. And that he has dedicated himself to the service of his fellow men. Freemasons wear those symbols with pride and humility. Pride that they belong to a group who have accepted as a design for living the lessons Freemasonry teaches, and humility that we have been chosen and accepted as a man worthy to share in Masonic fellowship with our brethren, and use our unique skills to the betterment of mankind. What? Are You Ashamed to be Seen Here?